Software is Compatible with Windows OS 10, 8, 7, and Vista Etc. The Coreldraw recovery software is capable to repair highly corrupted .cdr files. You need to just import the cdr file in the software and the tool will automatically fix all issues. The software ensures zero percent data lose during recovery process. 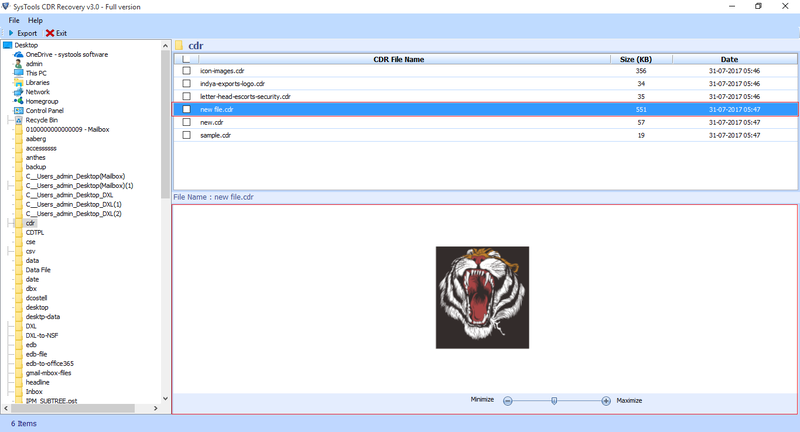 Once the scanning of corrupted cdr file is completed the software will provides a preview option. In this option user can view entire details of scanned image like image creation date, file size etc. Software provides zoom in and zoom out feature. The CorelDRAW Recovery Software support latest version of coreldraw like X10, X9, X8, X7, X6, X5 and X4. 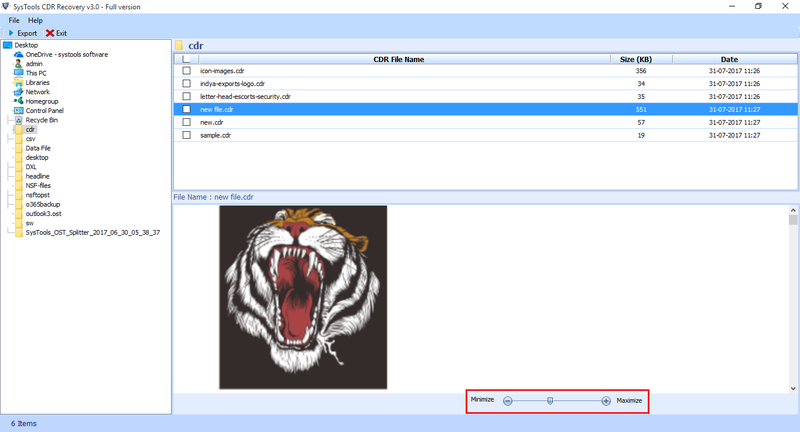 Simply install the utility on your machine and import corrupt cdr file in the software. All corruption issues will be removed. 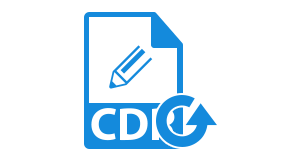 The cdr recovery software is compatible with all windows operating systems like win 10, 8, 7, vista and below versions. Simply download software online on your windows machine and repair corrupt cdr files. The tool provides simple GUI for users. Can I save repaired coreldraw files at any location. Yes, The coreldraw file recovery software provides you feature to save resultant file at any location in your system. No, The cdr repair software is compatible only with windows operating system. Is I need to pay for demo version of software? No, The demo version of coreldraw cdr file recovery software is free. Simply download tool online on your windows system and analyse working without paying any amount. 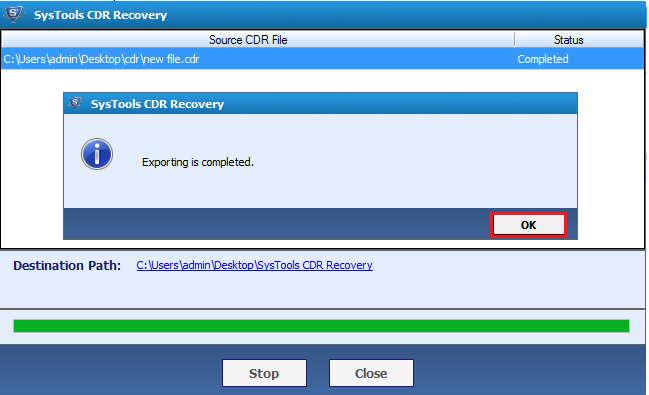 Is CDR Recovery Software requires any additional utility installation? No, The tool is stand alone utility. You need to just install the utility on your system and then import damaged .cdr file. Launch the software on your windows os machine. 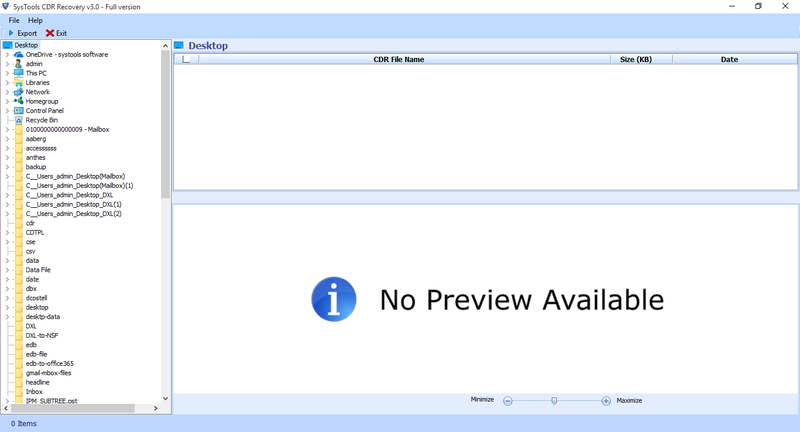 The home window of CDR File Recovery Software will appear like this. Now browse the damaged or corrupt cdr file to the software by exploring the folders shown in left panel. Now the software will list all images in the selected folder. Simply select the particular image and view selected file. Software also provides feature to maximize or minimize the select image. Now the software will list all recovered cdr files. Here you can either select required file or export complete folder. Simply click on Export option. For complete folder click on Export button form software menu bar. 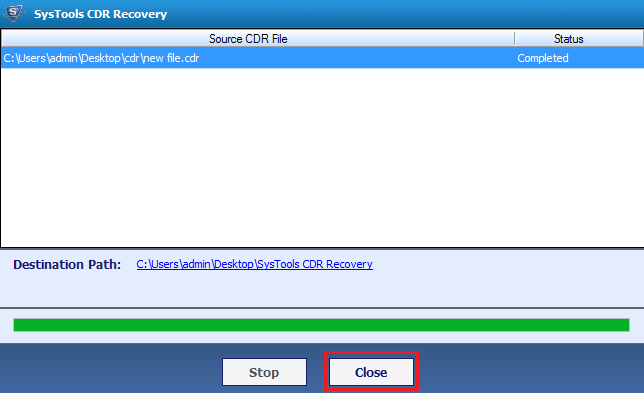 Here you need to provide location to save recovered cdr file. Click on Browse. 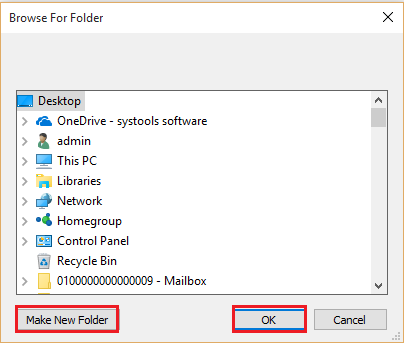 Either Choose pre-existing folder or create new folder by hitting on Make New Folder button. At the end click on OK.
Now a pop up will appear with selected location simply click on Export button. As the coreldraw file scanned successful. A pop up window will appear with “Exporting is Completed” message. At the end hit on the Close button from bottom to finish the coreldraw recovery process. "How to recover corrupted CorelDRAW x5 file’ was a troublesome query for me, which was keeping me worried all time. After a deep researching, I found this CDR file recovery software through which I was smoothly able to fix damaged CorelDRAW x5 file. Heartily thanks to tool developers and designers for arriving with such a brilliant product!" "I tried demo versions of many firms for corrupt CorelDRAW file recovery but, none of them were worth for me. When I worked with trial version of this product it satisfied all me needs, in fact more than that. The product is providing bulk features with which I repaired 50 corrupted CDR files simultaneously."